Creative stickers of the alphabet with images of clowns. Fantastic decal to decorate your child´s room and make learning the alphabet fun! These stickers can be placed anywhere at home. 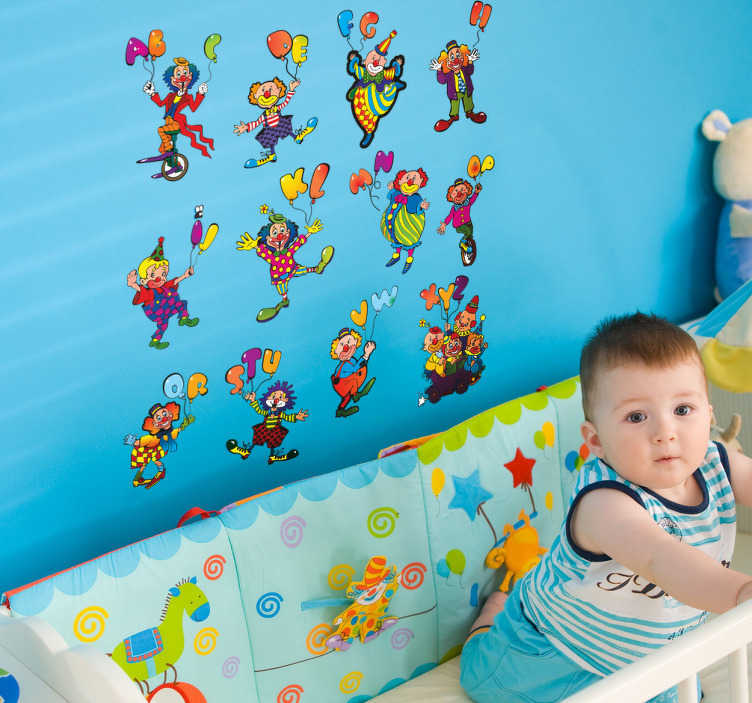 A very colourful and original decal to transform the way your child´s room looks! Clowns holding balloons with the letters of the alphabet. These stickers can be re-arranged any way you want.